I don’t think you need to spend a lot of money to make someone feel special on Valentine’s Day. Sometimes taking an ordinary, everyday thing that you know they love and packaging it in a special way creates the most thoughtful gift. I like to do this for my family. Its so quick and easy to cut the packaging on my Silhouette Cameo – and somehow my kids are always thrilled, even though they are teenagers now! Here are a few ideas to make simple gifts extra special with links to the digital cutting files to help you. If you know someone who loves their coffee – you can package up a few of their favorite K-cup flavors. You could bake them their favorite homemade goodie and package it up in a way that tells them how special they are. The butterfly latch is pretty cute huh? Or maybe a little box of my husband’s favorite – toffee hard candy. I love the caramel filled kisses! But sometimes the best gift of all is a homemade card with a heartfelt note inside. This entry was posted in Cutting Files on January 30, 2015 by Cathy. I used the new I Heart You Digital Cutting File Set to make all of these. I love my little Cameo! To make my samples, I did a print and cut for the label centers. I created the sentiments in Illustrator, saved them as PNG files and then layered them onto the label center cut lines. Here is what the white ones looked like (I just did the same on craft paper for the chevron card). I usually like to use matte presentation paper for print and cuts – they come out so nice and bright. Once the centers were cut, I just layered them on the label backing and added them to the card with foam tape so they popped up a bit. If you would like to use some of the same sentiments that I did, I have a little free download for you. You can download the sentiments here. Some are curved and some are straight to fit the different labels. You can change to color of them in your Silhouette Studio program. If you make any of these please let me know – I’d love to see!! I’m off to make more Valentine projects – hope you have a fabulous day! This entry was posted in Cutting Files, Freebies and tagged Cutting files on January 29, 2015 by Cathy. I have a confession – I make cards, but I’m not so good with actually sending them to people on time. I have them all tossed into a big copier paper box and have to dig through them all to find the right one. Well, its January – time to get organized right? So I created this greeting card file box organizer as a digital cutting file. The file fits A2 (4.25″ by 5.5″) sized cards and envelopes. The file has a little divider too – for even more organization. And since I couldn’t decide on just one style, I had to make 2 different panel and label choices. A girl has to have options! If you need organization too, you can purchase the digital file here. I used the Midwinter Digital kit to make the panels. I’m lucky because the kit matches my craft room so well! This entry was posted in Cutting Files, Gift and Home Decor Items and tagged Cutting files, DigiChick on January 15, 2015 by Cathy. 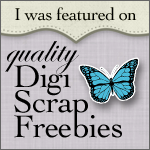 If you are looking for the Digiscrap Parade post – its just below this one (or click here). I had the wonderful pleasure of working with Danyale from Etc. by Danyale to create this “cowboy ” themed digital scrapbooking bundle. She is so talented and inspirational – it was a blast! Its really more than a digital scrapbooking kit because it includes all the items you might need to craft a marvelous child’s birthday party. A Happy Birthday Banner – as a finished printable you just print and cut out, but also as a Photoshop template in case you want to create your own mix of papers. There are digital cutting files included to make cutting even easier. Or cut them small for decorating treat bags, napkin rings, cupcake pics or cups – or for creating name tags. A “saddle bag” style favor box cutting file. Just cut, fold and adhere to create a special little box of treats. Danyale even created a set with blank party invites and thank you notes! This weekend, along with the great bundle price you also get a set of free wordart – cool huh? This entry was posted in Cutting Files, Digital Craft Kits, Gift and Home Decor Items and tagged Cutting files, DigiChick on November 2, 2013 by Cathy.